It’s the end of July in Iowa, the sun is shining down on thousands of bikes ready and waiting to take off and hit the road. It’s RAGBRAI time! For those readers who aren’t from Iowa, RAGBRAI is a state tradition, started in 1973 by two journalists John Karras and Don Kaul, it began as a way to document the experience of riding a bike across the state to truly see all the different communities close up. However, it quickly developed into a popular annual event, with bike riders coming from all 50 states and more than 22 countries to participate. This is the 3rd year Businessolver will be a premier RAGBRAI sponsor. 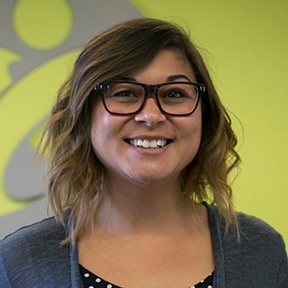 Our participation in this event was inspired by one of our own Solvers, Chris Charron, who was a long-time employee and a member of the Businessolver family. He had many passions in life, one of which was supporting and participating in RAGBRAI. 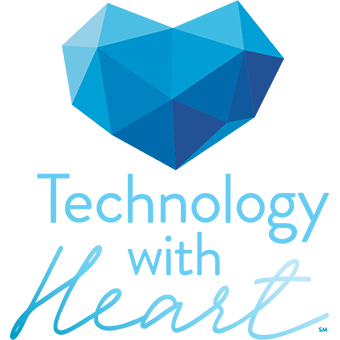 Chris passed away from a heart-related issue, and we couldn’t think of better way to honor his legacy than to support RAGBRAI and spread a heart health awareness initiative. That is our main mission and goal throughout this event. Businessolver will be at every overnight stop with the Hy-Vee Health You Mobile, American Heart Association (AHA), and Sola providing blood pressure screenings as well as nutrition and hydration tips for riders throughout the week. This year Sola, a new healthy sugar replacement that helps control insulin levels will be handing out FREE samples of their delicious ice cream to those that get their blood pressure checked. 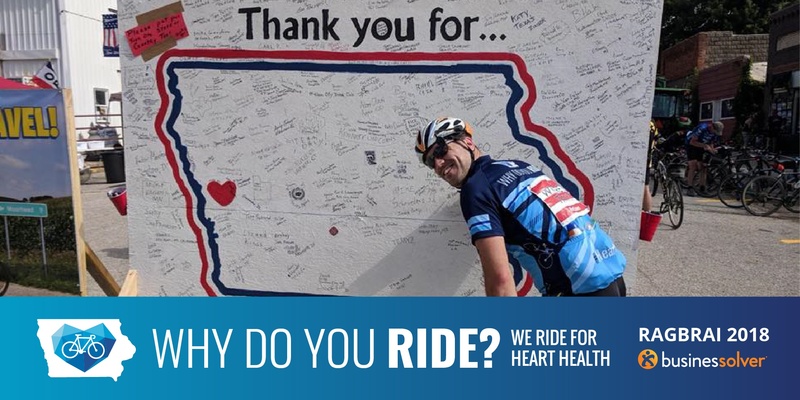 Riders and spectators will also have the opportunity to share with us why they ride as we are asking “Why Do You Ride?” and the chance donate to AHA through our “Where’s Tony” fundraising game, in efforts to spread our heart health message. Stay up to date by following us on social media. We will be posting photos, videos, and blogs throughout the week. We want to bring health to the forefront, so riders can continue to experience this amazing week for years to come!